Just when you thought they were nearly down for the count, the Immortals are making a rather large return in season 2 of Helix. Coupled with several twists, this latest episode has become a turning point in this season’s plot. In the last episode of Helix I note in my review that, no matter where you are, whether you’re the CDC or the cult members, you’re subjected to the resources available and thus susceptible to manipulation, especially via genetically modified crops through grafting. Now we’re starting to realize who’s who in this tale of twists and how they’re going about destroying the world. In this episode of Helix we find ourselves crossing paths with an even larger presence of the Immortals than we assumed beforehand. When Peter Farragut, currently the head of the CDC, confronts the leader of the cult, he reveals to him that his brother Alan is pretending to be a member of said cult and that he’s a dangerous man, given his recent deadly confrontation with Ilaria corp. As a result, not only does the cult leader locate Alan and throws him into an underground chamber, but subsequently places Peter there as well, leaving the Farragut brothers with only one another. 30 years into the future, Julia is found, nearing the brink of death, by the same man who kidnapped her in the beginning of the season. As he attends to her wounds, Julia reveals to him that the long-feared man of the woods who she confronted was actually her father, Dr. Hatake (a fellow Immortal like her), and that she believes she killed him. For the remainder of the night they sit by a fire in an unknown cavern, reminiscing the past and discussing about the sword in which Julia’s father gave her soon after sticking an ax in him. 30 years back, with Peter and Alan still locked inside the underground chamber, they begin to fight over the most menial of things – from their very presence on the island to who was the better lover to Julia. Once putting aside their differences, they notice they could easily escape the chamber by lifting one up using their shoulders. Not trusting Peter, Alan convinces him to lift him up and unlock the door, believing Alan would soon thereafter lift him up as well. Instead, Alan reveals to Peter that he knows he’s working with Ilaria and the rest of the Immortals and decides to leave him in the chamber. And then we’re left with Dr. Sarah Jordan, who was stabbed by one of the cult members at the end of last episode. She’s now under the care of another cult member, who appears to be medically trained enough to attend to her stab wounds. During her recovery, the cult member reluctantly discovers she’s one of the Immortals – what the cult refer to as the “Silver Eyes” – and rushes to her leader to inform him. Likely the biggest twist thus far in the season, it’s revealed that the leader is also an Immortal and that the old cult member who informed him of the “Silver Eyes'” return is actually his daughter. 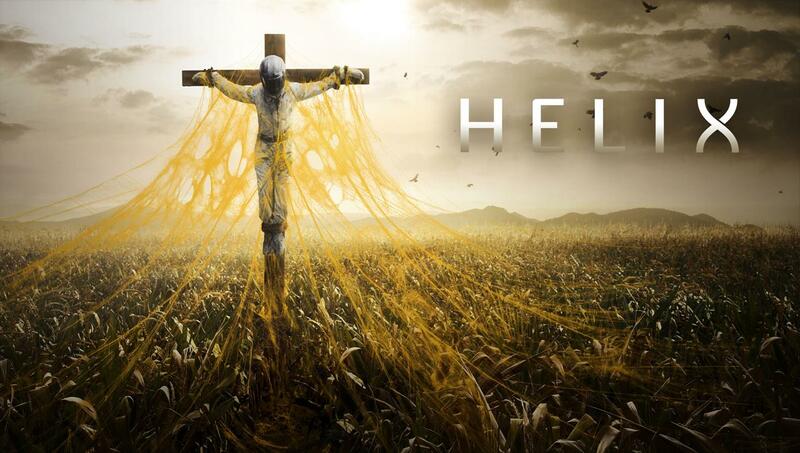 This latest episode of Helix is rather strange compared to the rest, though also quite enjoyable. Clearly, despite everything going on, the Immortals are still at the forefront of it all. The difference here being that the new NARVIK virus doesn’t appear to have been concocted by the Immortals, but by some of the cult members. It’s turning into a good ol’ fashioned sci-fi tale of technologically enhanced humans versus Neo-Luddites! The series appears to be taking a new turn with the clashing of old ideas – technology or none? – of which is setting each character in place for some eventual side to be taken. I predict strange allies will be made, just as even stranger enemies will formulate. The series thus far is really good, in my opinion, and will only get better as time goes by and the season progresses. If you haven’t watched season 1 of Helix yet, then I suggest watching it entirely on Netflix. New episodes of Helix season 2 air on Fridays, 10pm (EST), on the SyFy channel.